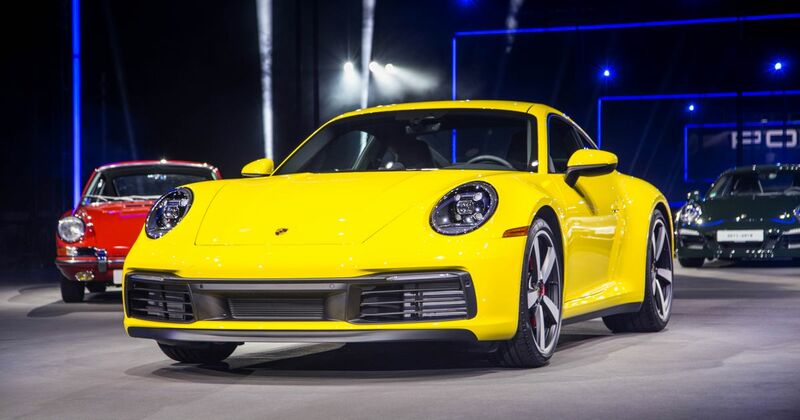 When Porsche revealed the ‘992’ 911, the company didn’t divulge quite as much information about the all-new Carrera S as we’d hoped. 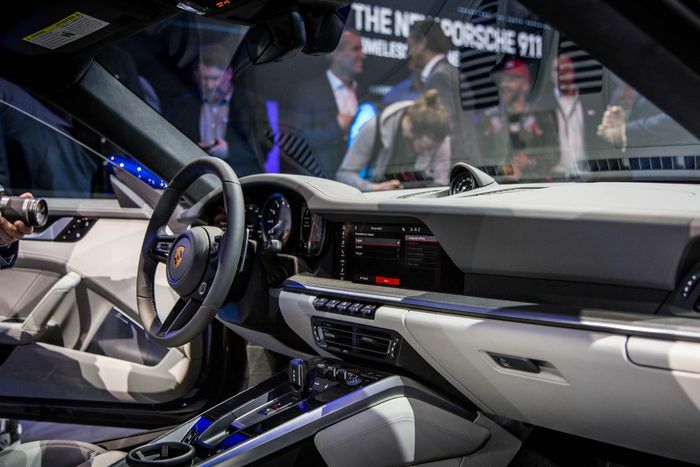 No matter, as at a roundtable interview session at the car’s debut in Los Angeles last week, 911 development boss August Achleitner was happy to drop some interesting details about Stuttgart’s latest sports car. 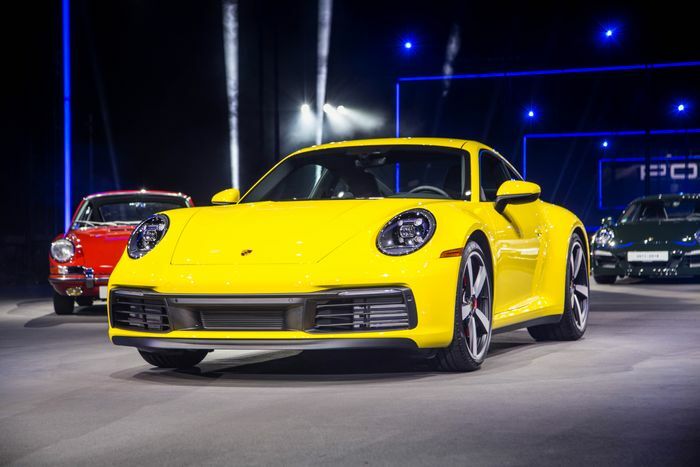 The 992-generation 911 is widely expected to be the first available with a hybrid powertrain, and indeed, Porsche has made it ready for one: it chose an eight-speed PDK automatic gearbox over the seven-speed, partly because it’s compatible with an electric motor. 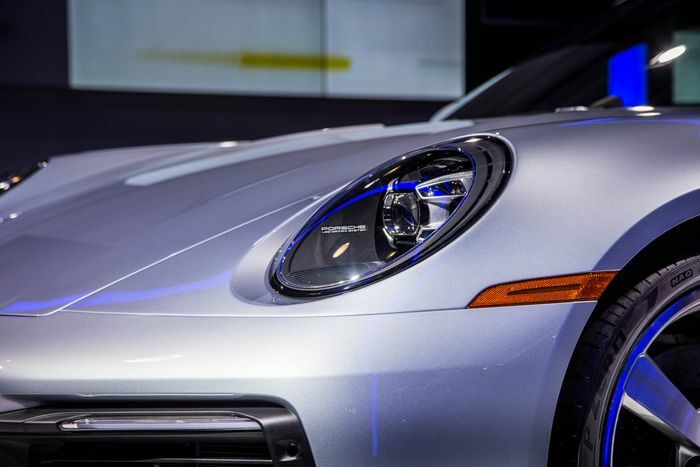 So Porsche could make a hybrid, but it won’t. Not yet, anyway - the company’s engineers just aren’t happy with battery technology as it stands right now. The business case doesn’t sound all that compelling, either, meaning there’s simply no reason to rush into producing such a car. “We are selling so many 911s that there’s absolutely no need for a hybrid version,” Achleitner concludes. As such, we’ll be waiting until 2022 for the first-ever electrified 911. OK, so this is our own observation, but it’s an important one. 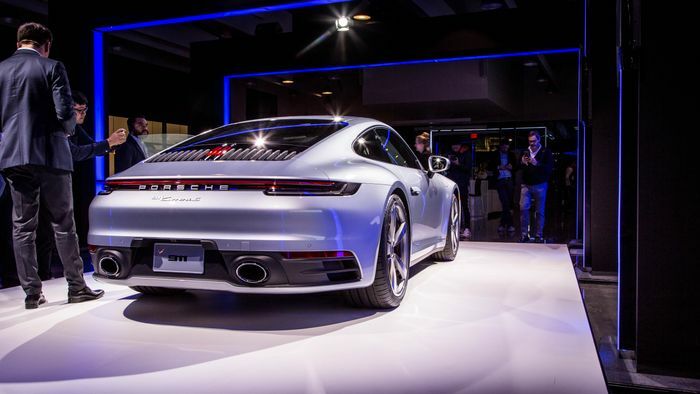 The full-length active rear spoiler of the 992 seems to be dividing opinion, but we’re digging it. It looks great in the metal, and when up, it gives the car a certain 959 vibe. 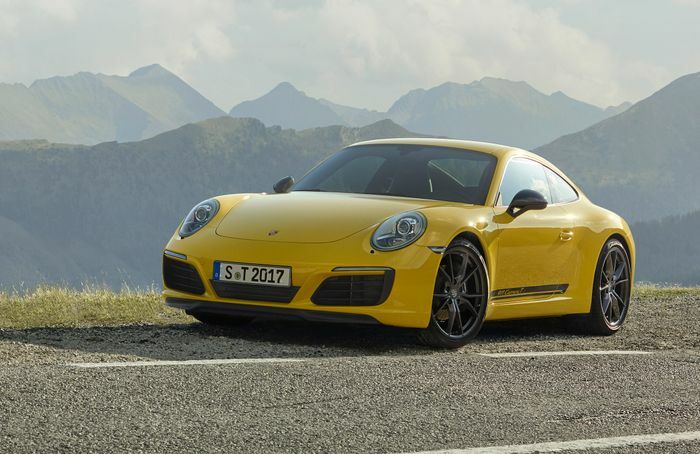 While only launched as a Carrera S and 4S, make no mistake, plenty of other versions are on the way. 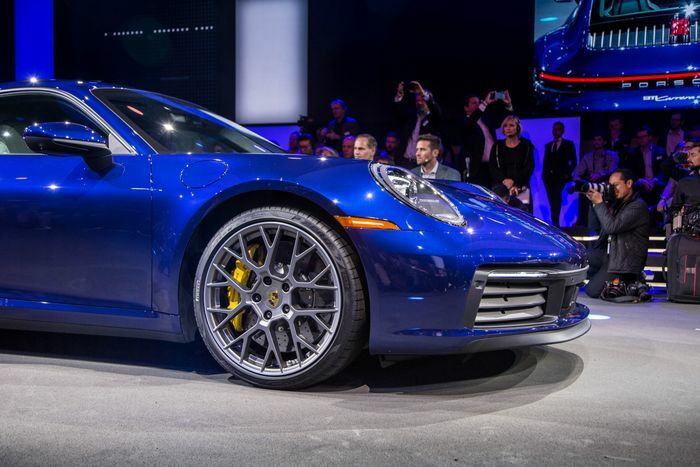 We can expect a base Carrera, a convertible, a Targa and various track-friendly GT models. But a ‘Carrera T’ to sit under the ultra-focused GT3? That’s “Not yet decided,” Achleitner says. The last one was a run-out special intended to increase demand for the 991.2, but in the end, it wasn’t actually needed, with standard models selling strongly right up until the end. With that in mind, a new T is far from guaranteed, but we’ll be keeping our fingers crossed. The 992 is stuffed full of things that bump the weight figure up. It has a pair of particulate filters which weigh a combined 15kg. The eight-speed PDK gearbox we spoke about earlier? That’s an extra 20kg. Those bigger wheels and tyres - 245/35/20 at the front and 305/30/21 at the rear - add bulk too. Overall weight has inevitably increased, but Achleitner says that the figure is similar to that of the 991. That’s thanks in large part to the extensive use of aluminium in its construction - there’s far more of the stuff in the 992 than the 991. The structure of the sills is now aluminium, while the shape of aluminium rear wings is something that’s only recently become possible due to advances in stamping technology. In previous generations, all-wheel drive 911s (plus the two-wheel drive GTS models) were given a wider rear body than their rear-drive counterparts. No longer: all 992s are effectively now widebodies, regardless of the wheels powered. The single-width rear design is down to the 45mm increase at the front: the rear end simply has to be wider to suit. This means all 911s will have some pretty mean presence when viewed from behind. The wider, faster 911 is on sale now, starting at £93,110 for the base Carrera S.
Recommended car throttle shop Worldwide Shipping In The CT Shop Car Throttle Submit Your Videos To Get Featured On Our Social Channels Features Bentley Continental GT Convertible Review: W12 Excess At Its Finest Features 2019 Audi R8 Performance Review: The Last Of The Breed Is A Supercar Hero Features Porsche Cayenne Turbo Review: Annoyingly Good SUV Now Better Than Ever Features The Audi A4 DTM Is A Touring Car Special You Can Actually Afford Features 5 Japanese Legends That Were Too Complex For Their Own Good Features BMW M2 Competition Review: The 1M Successor It Should Have Been All Along Features Bugatti's First Chiron Was A Lamborghini Diablo With A W18 Engine Features 2020 A90 Toyota Supra By Numbers: How Does It Compare To Rivals?